The recent Landmark Australia tasting broke the mould of the normal trade tasting, where the wines on offer are invariably from the latest vintage with very little else on show. In this case three vintages of each wine were open for tasting, the oldest being a Yalumba, ‘The Signature’ Cabernet/Shiraz 1994 (13.5%) that was warm, rich, intense, balanced and very much alive and kicking. 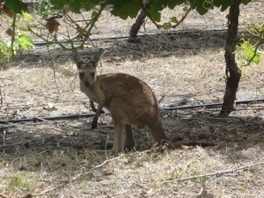 Above left: a familiar vineyard visitor and, right, Petaluma vineyards in the Adelaide Hills. Star red wine was the Clairault, Cabernet Sauvignon 2007 (14.5%), which carried its weight lightly, courtesy of some nice savoury notes that balanced the abundant fruit. 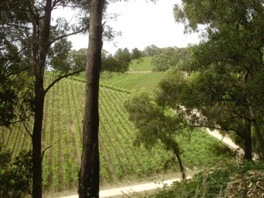 The same could not be said for the trio of Mount Langi Ghiran, Langi Shiraz’s from 2004, ’05 & ’06. “Beefy beyond belief,” was how I noted them, each labouring under the weight of 15% alcohol. A pity because lurking underneath the massive superstructure was a foundation that gave a hint of elegant potential unfulfilled. More to my liking was the Petaluma, Coonawarra Red 1996 (13.5%), a blend of Cabernet Sauvignon and Merlot that was softly textured with a lively prickle of acidity. Old age was beckoning but it was still very appealing. A pleasant surprise was the Tamar Ridge, Kayena Vineyard Pinot Noir 2000 (13%) that had aged well, developing hints of rhubarb on the nose that carried onto a slightly quirky palate of mild, smoky fruit. 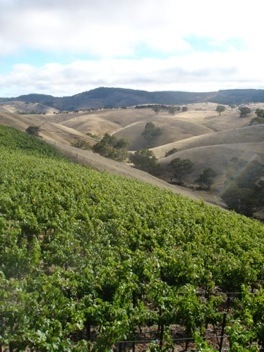 It hailed from Tasmania, the region that is well on its way to establishing itself as Australia’s premier location for Pinot Noir and, indeed, sparkling wine. 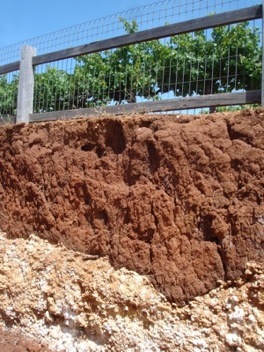 Above left: Coonawarra’s Terra Rossa soil and, right, the Jacob’s Creek Steingarten vineyard. Jacob’s Creek, Steingarten Riesling has always been one of my favourite Australian wines but on this occasion it wasn’t coming out to play. 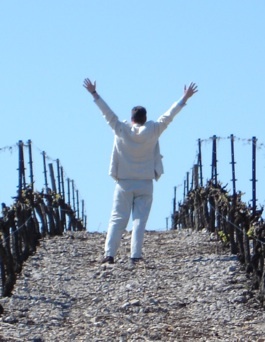 The three vintages, 2005, ’06 & ’10 (all 12.5%), were quite different from one another. The ’05 had a lovely sherbety character but the acidity was rather brittle, the ’06 was dominated by a hard, slatey backbone. So long as the fruit hangs in, both should age well and develop the charm that is lacking right now. 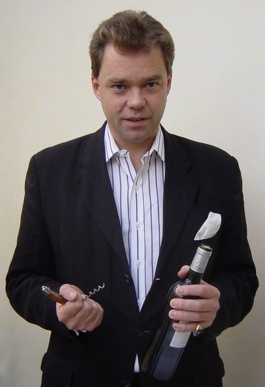 The 2010 displayed the off-putting cosmetic character that is the hallmark of very young Riesling and which mercifully fades after a year or so, like an adolescent losing puppy fat. If I were a winemaker I would never present a Riesling for tasting at this stage of its development. In conclusion, this was a well conceived tasting that provided plenty of fuel for the debate about how well Australian wines can age.